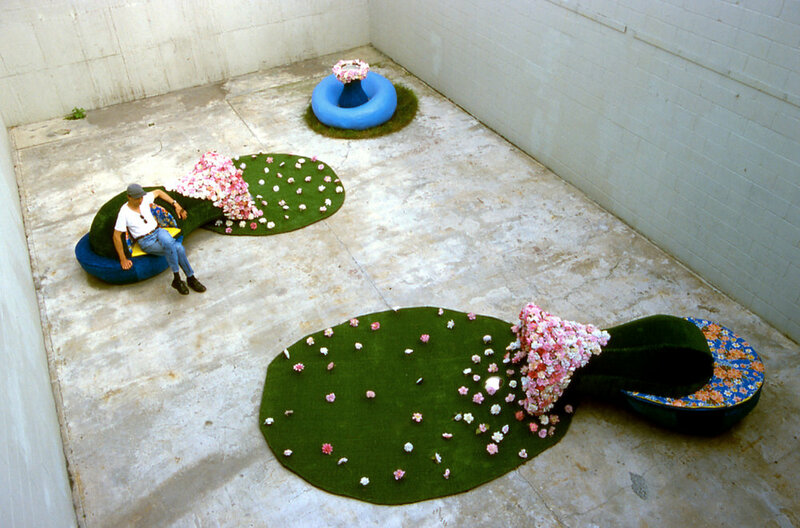 Astro turf on steel frames with oilcloth cushions, mirrors, concrete, artificial flowers and sod. Dressing is sited within an urban enclosed garden within its walls which open to the sky the enclosed garden domesticates the landscape. As it is at once a room without a ceiling and a landscape without a horizon. Dressing juxtaposes the artificial and the natural. Giant topiary urns with inset floral divans come to rest against beds of fresh green sod.